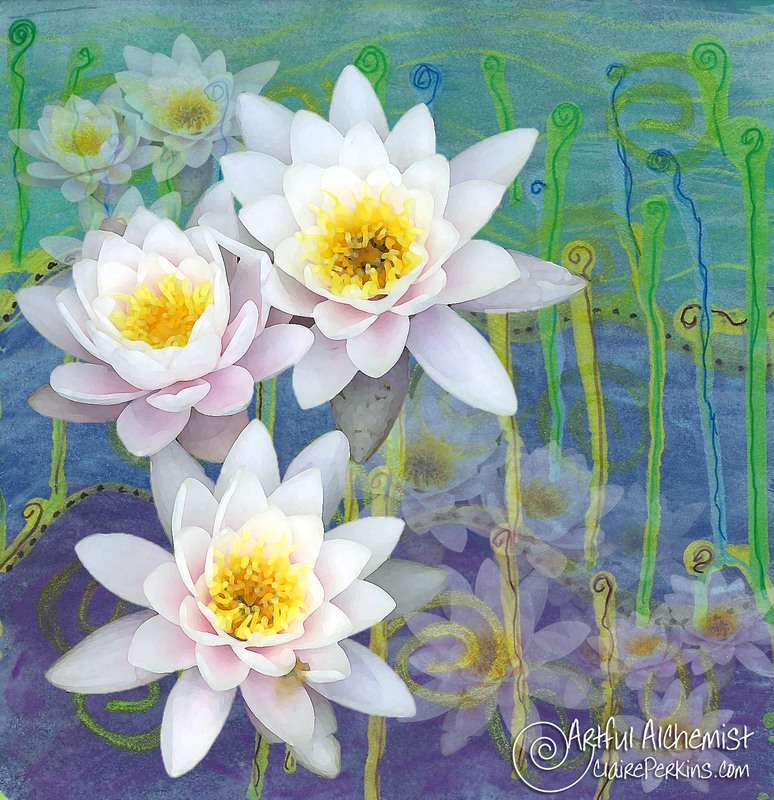 My first “mixed media” composition created with a painted background and a photo I took of lilies in my pond. I used some filters in Photoshop to “painterize” the forefront lilies. I am enjoying learning great new photo and painting techniques in “Co-Lab: Paint, Paper and iPhoneography Magic“, an online class from Alena Hennessy and Susan Tuttle. My creative juices are flowing as whole new worlds of expression are opening up to me! Guess what I’m going to be doing for the foreseeable future? If you need me, I’ll be in my art studio! Thanks, Mechelle! I believe I’m going to be addicted to this . . . Thank you, Heather! And thanks for the link to the Art Journal Workshop! Claire…this is lovely. Thanks for sharing your class accomplishments!